I came across a great article titled “Coffee vs. Beer: Which drink makes you more creative?” by Mikael Cho, a blogger and co-founder of Ooomf. In the article, he scientifically breaks down how coffee and beer affect your brain. It was so interesting that I decided to make an infographic based on his article. Your intelligence at 16 is a strong indicator of how much and how often you will drink throughout adulthood. During the past 13 years, the number of food and beverage jobs jumped 25 percent, compared to total U.S employment which increased by four percent, according to the U.S. Bureau of Labor Statistics, making it essential for potential job candidates to be trained and qualified for these competitive positions. One beverage trend that has both students and faculty excited to learn more is craft beer. John Laloganes and Phil Mott, both Assistant Professors in the School of Hospitality, provided valuable insight and advice regarding the creation of this infographic, designed to showcase both the knowledge of Kendall College faculty and alumni, as well as the potential impact and certain growth of the craft beer category. 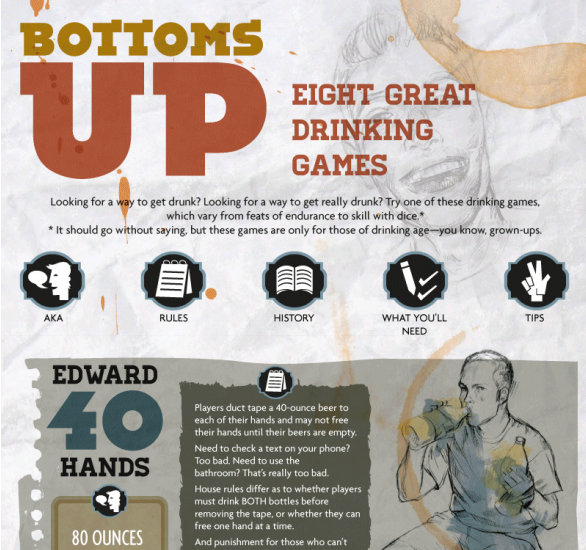 With the July 4th weekend coming, I thought it would be fun to give you some drinking games to get you through the weekend. Have fun, and remember to drink responsibly. 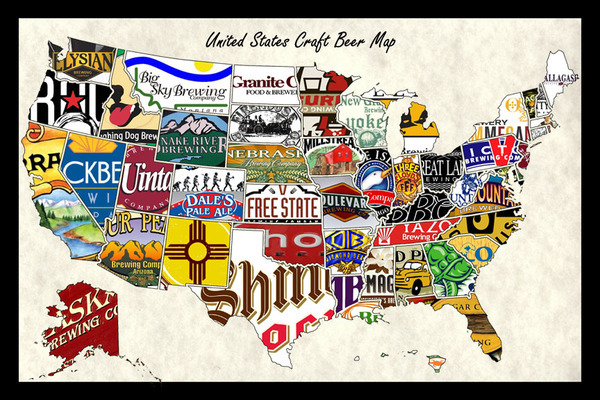 Looking for some trivia style information on beer? 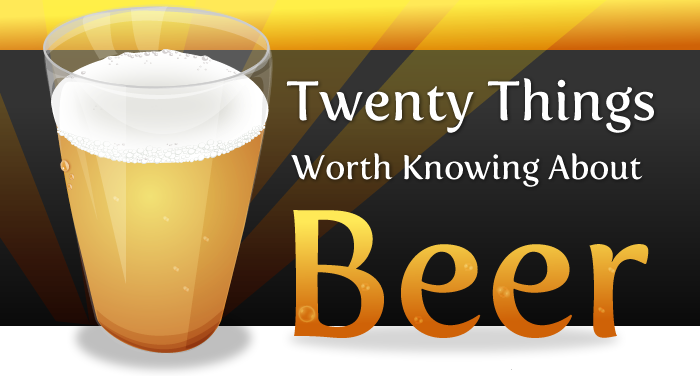 Well look no further than this post, 24 things you didn’t know about beer. This is an old one, but a good one from one of the greatest web comics, http://theoatmeal.com. Seriously, if you have never been to that website before, here is a good place to start http://theoatmeal.com/tag/popular. Without anymore fanfare, here is the infographic put together by Matthew Inman.